Pinterest has quickly evolved into a social media eye-candy powerhouse. People are now pinning images as often as they tweet, according to new data from the Pew Research Center. If your business isn't on Pinterest yet, you might want to think seriously about jumping on board. Pinterest can enable you to tell your company's story in visually engaging ways that enhance your brand image and attract potential new customers. 1. 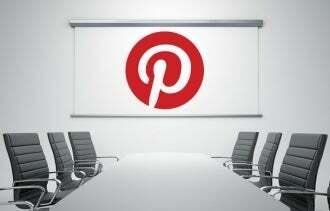 What does my company want to achieve on Pinterest? You may simply want to create a strong brand image, or you might hope to use Pinterest to help launch new products. Whatever your goal, defining it can help you decide which types of Pinterest boards to create and how to organize and promote your pins. If your company wants to publicize its commitment to sustainability, for instance, you might create boards that relate to gardening and recycling, as Whole Foods has done. Or, if you simply want to drive traffic to your business's website, create boards with images that link directly to it. The Travel Channel's 37 boards -- with intriguing titles like "Travel Bucket List" and "We'd Rather Be Here Than Work Right Now"-- feature pins linking to relevant travel destination articles on its main website. 2. What's a Pinterest board and what kind should I create? A board is where you organize multiple pins by topic or theme. You can customize your boards based on themes that directly or indirectly relate to your products and services. For example, Etsy, a popular online arts and crafts marketplace, curates 61 boards for some 235,000 followers with themes that range from handmade gift ideas to holiday decor to wedding accessories. 3. What types of images will best showcase my brand without being spammy? Choose brightly colored, interesting pictures that show your followers how they can use your products and services in interesting, non-promotional situations. "Images tell the story of your clientele and their relationship to your brand," says John A. McArthur, an assistant professor of communication at Queens University of Charlotte in North Carolina, who integrates Pinterest into his curriculum. "Consider how your customers would use your product or service and provide images that would speak to their experience." Instead of pinning promotional pictures of paint cans, Benjamin Moore highlights its products Pinterest in unexpected ways. For example, the paint maker's popular "chalk it up!" board showcases its Chalkboard Paint in dozens of creative DIY projects, including chalkboard paint-dipped wine glasses and chalkboard-painted motorcycle helmets. 4. How do I upload images to Pinterest and where should I get them? Add images via the Pin It bookmarklet or by uploading a picture directly from your computer. For businesses, it's generally best to use your own images rather than generic stock photography or other people's images. Your own original pictures can help your brand stand out from the crowd. More importantly, they reduce the risk of photo license infringement liability. If you have too few of your own pictures or lack the budget for original photography, you can source images for free with appropriate attribution licenses from services like Creative Commons. 5. Will other people be able to contribute to my company's boards? With Pinterest's "Me + Contributors," you can invite clients, customers, employees and even similar brands, to contribute to a group board. They will be notified via email that you have invited them, and you will receive emails from Pinterest when they add pins to your group board. To be added as a contributor, a person has to be one of your followers already, and you must follow at least one of his or her boards. Group boards can quickly build an active, engaged community around your brand. 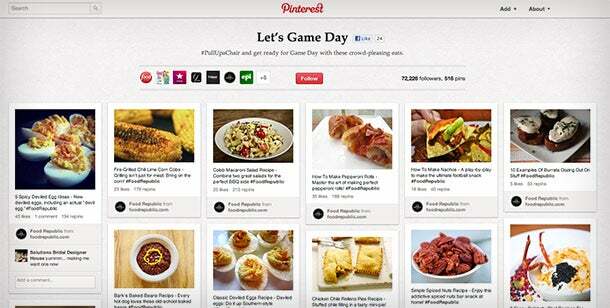 The Food Network's "Let's Game Day" recipe group board, which complementary brands like Good Housekeeping magazine and Epicurious.com contribute to, has attracted some 71,000 followers so far. Just be mindful of users posting spammy or inappropriate images. 6. How can I build an active community? First, create several boards with compelling images. Then, make sure to #hashtag your pins with descriptive keywords that can help people find your images when searching Pinterest. Whenever you create a new pin or new board, share a direct link to it, using Pinterest's Facebook and Twitter share buttons. Also, alert your web visitors to your Pinterest boards by adding Pinterest's follow button to your company's main website. You might want to host a "Pinterest party" to encourage others to pin alongside you in real-time. HGTV recently had a Holiday Pinning Party, that let followers pin their favorite holiday decorations, gifts and recipes, while interacting with HGTV editors in pin comment fields. 7. Should my company follow other Pinterest users? Following other users shows that you are an active Pinterest community participant and that you aren't just there to promote your products and services. So, make a habit of following people, brands and influencers who share similar pinning topics and themes in related industries. You can repin their images and comment on their pins. 8. How can I find and engage influential pinners? To discover so-called "power pinners" who share your interests and can potentially boost your reach on Pinterest, click on the Popular link at the top of every Pinterest page. It will tell you which pins are trending and who is pinning them. 9. Should I pin videos, too? A Pinterest gallery of humorous videos that feature well-designed textual infographics, and offer how-to tutorials can be an engaging way to bring your products and services to life. To add a video pin, select the Add button at the top of Pinterest's main page. Choose the Add a Pin option and enter the URL of the video you wish to upload, either via YouTube or another link. Click the Find Images button to choose a thumbnail image from the video that best sums up your video. Next, select which of your boards to pin your video to. Click Pin It and you're done. 10. What's the most common mistake to avoid? Don't go for the hard sell by filling your boards only with images of your company's products, projects and services. Pinterest frowns upon purely pushing your brand in its official marketing guidelines. "Limit self-promotional pins to 10 percent of what you pin at the most, and stagger them when you do," says Kelby Carr, author of Pinterest For Dummies (Wiley, 2012) and Pinterest Marketing For Dummies (Wiley, 2012). "Use Pinterest as an opportunity to humanize your business in unique, fun and creative ways." Carr also advises businesses to avoid "pin it to win it" contests that encourage "spammy" behavior, including asking followers to comment repeatedly. Running the occasional promotion or sweepstakes is fine, but don't overdo it.